How much training is required and do we pay a member's employer or the team employee for training? There are required on-line training courses, team training meetings and exercises (1-3 days per year), and infrequent federal training (up to 1 week perhaps every three years). See this FAQ. There is no direct cost to the employer for a team member's training per se; however; based on an understanding during the initial application process, the employer is expected to be supportive of the member's time off work to attend DMAT training. There is no means to reimburse a member's employer for any of a team member's time away from work. Most employers will TDA/TDY their DMAT members for the required meetings and training programs. Every team meeting will have a training component. 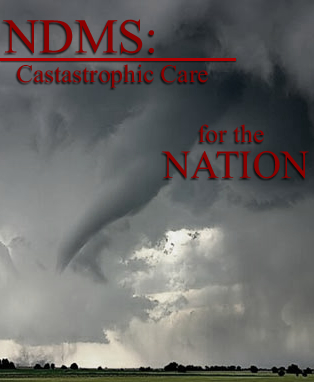 Occasional exercises and other training courses are funded by NDMS. If approved, the team member may receive federal salary, travel reimbursement and per diem during this training. In such cases, and in cases of disaster deployment, the team member would need to determine if they will take unpaid time off from their regular work, vacation leave, or some other negotiated pay or leave arrangement with their regular employer (similar to jury duty).